Faceted, AAA pear shaped larimar briolettes are topped with rainbow moonstone and aqua apatite faceted rondelles , along with facteted pink tourmaline teardrop briolettes and rondelles. 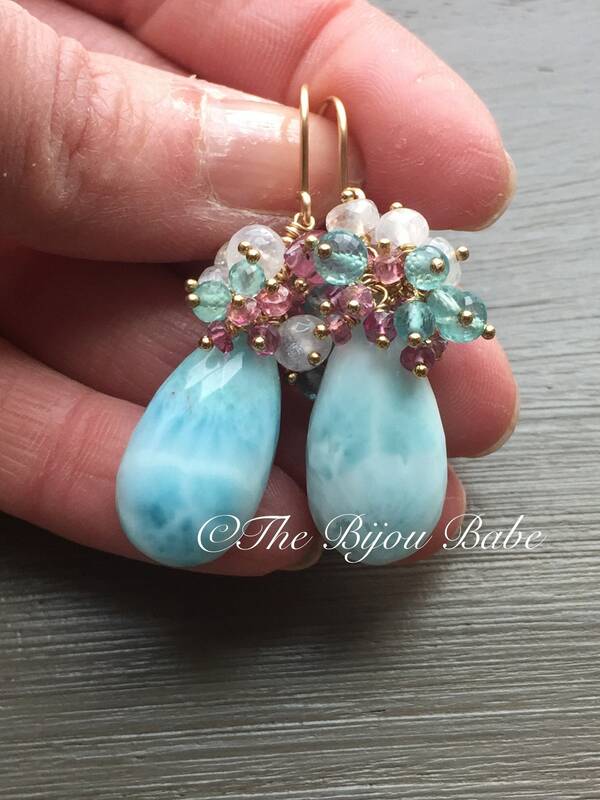 The larimar are approximately 22x11mm, a statement earring size. Larimar is a rare gemstone, found only in the Dominican Republic, in the Caribbean. Its color varies from white, to light blue, to green- blue to dark blue. 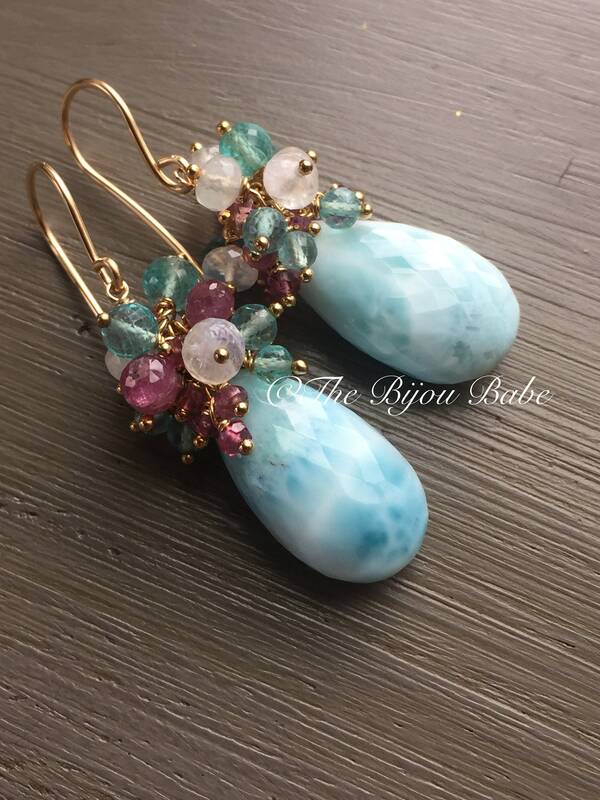 These are heavenly with the complementary and contrasting colors of the clusters of gemstones on top. Each tiny gemstone is meticulously wrapped by hand in 14kt gold filled wire, and the ear wires are hand-wrought, as well. 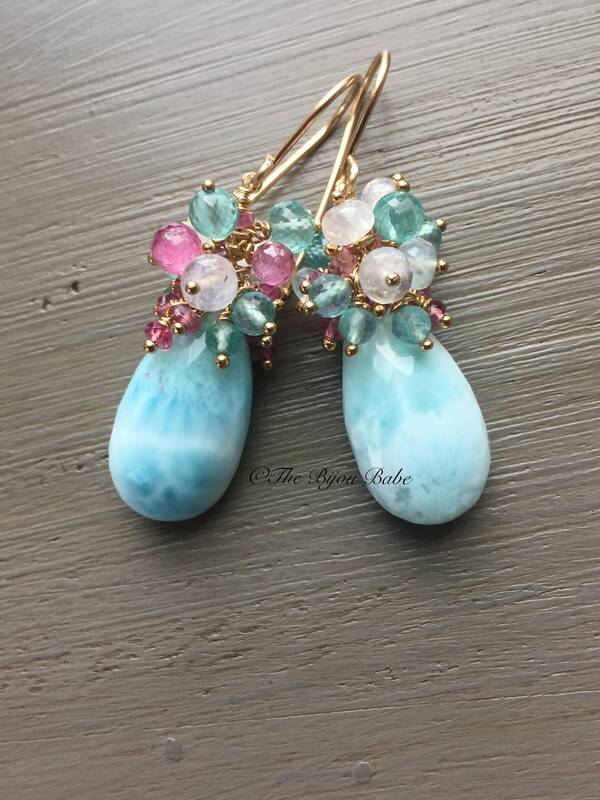 What makes these earrings so special is the quality of all of the gemstones used. From the focal larimar briolettes, right down to the tiniest of pink tourmaline, each and every gem is AAA quality (the best in gemstone bead form) and hand selected by myself in the design. Photos only tell part of the story, but if you read my feedback, you will see that my clients often say as good as the photos may be, the jewelry always looks even more amazing in person. 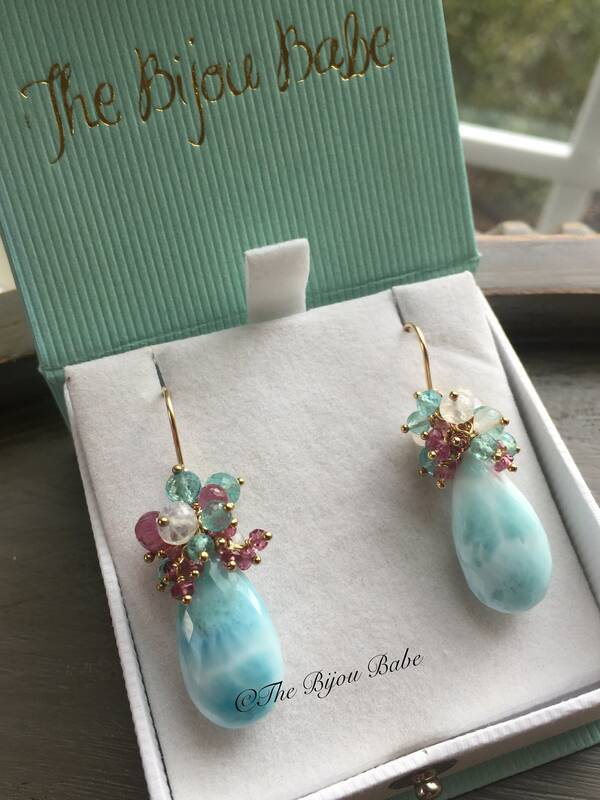 Your Larimar cluster earrings will ship USPS Priority Mail with tracking in the US, and will be packaged in a signature "The Bijou Babe" box. Please contact me if you wish to upgrade your international shipping.